Jim Johnson will lead the team to recover and redeploy the UW long-term bottom mounted mooring. 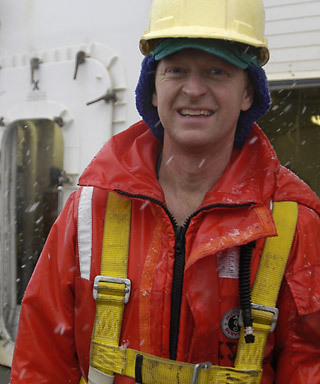 He has participated in many field projects around the world, including tropical, temperate, and polar oceans. In the Arctic he has worked in the Beaufort, Bering, Chukchi, and Greenland seas.